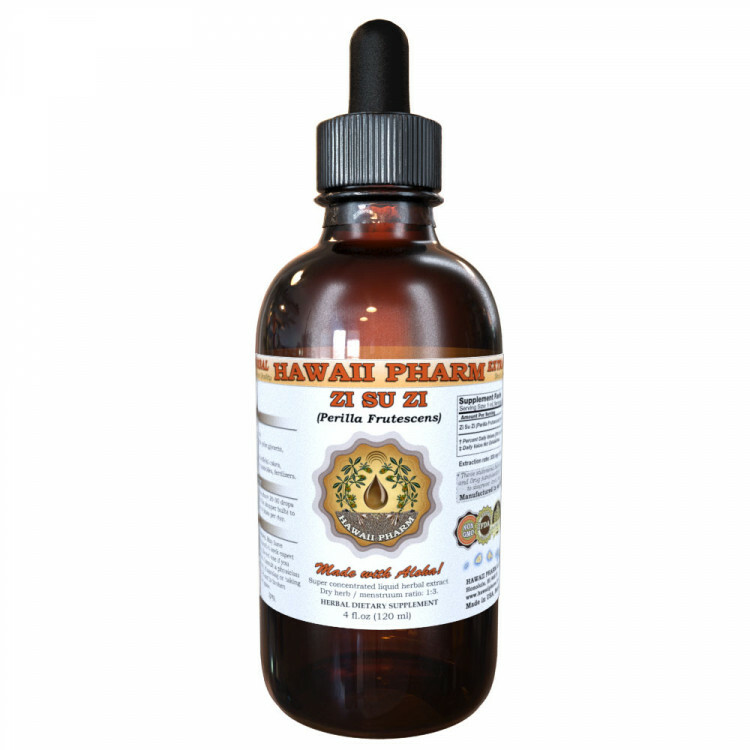 Highest Strength Zi Su Zi liquid extract! Zi Su Zi liquid extract contains ONLY natural ingredients! 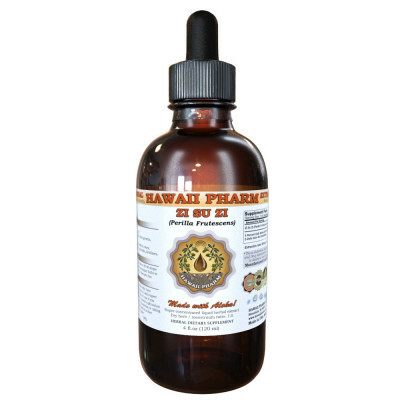 High Quality Zi Su Zi liquid extract- we use classic conventional methods of extraction! We meticulously produce our extracts according to precise standards where each herb is extracted according to the distinct characteristic of each plant! Super concentrated Zi Su Zi extract: dried material / solvents ratio is 1:3! We strictly use Only Certified Organic or ethically sourced wild harvested raw material, organic or pure pharmacy grade alcohol, vegetable palm glycerin and crystal clear artesian purified water! Really the BEST Zi Su Zi tincture on market! Main Ingredients: Zi Su Zi, 紫苏子, Perilla (Perilla Frutescens) Dried Fruit Powder. Strength: Dry plant material / solvents ratio 1:3. Solvents: Other ingredients: vegetable glycerine, alcohol, water. Additional information about ingredients: Contains NO GMO, gluten, sugar, yeast, mold, corn, salt, wheat, soy, artificial colors, dairy foods, preservatives or synthetic fertilizers. Indications: Do not use if seal is broken or missing. Store in a cool dry place. Safety information: Keep out of reach of children. If you are pregnant, nursing or taking any medications, consult your doctor before use. Discontinue use and consult your practitioner if any adverse reactions occur. Excessive consumption may impair ability to drive a motor vehicle or operate heavy equipment. Suggested use and dosage for adults: Shake well before use. 20-30 drops (1 ml., one full squeeze of dropper), up to 4 times a day or as directed by your practitioner. The best way to use liquid herbal tinctures is to put the suggested amount in a glass of water, tea, or juice and drink the entire contents. Tinctures can also be administered directly into the mouth without the assistance of water however some tinctures are unpalatable which is why most people prefer to dilute them into a beverage. Please note: 32 oz jars may contain some plant material inside! We do not accept returns on 15x4 oz, 32 oz, 2x32 oz, 64 oz, 2 gal options. *This product has not been evaluated by the Food and Drug Administration and is not intended to diagnose, treat, cure or prevent any disease. Information and statements made are for education purposes and are not intended to replace the advice of your treating doctor. Hawaii Pharm does not dispense medical advice, prescribe, or diagnose illness. The views and nutritional advice expressed by Hawaii Pharm are not intended to be a substitute for conventional medical service. If you have a severe medical condition or health concern, see your physician. 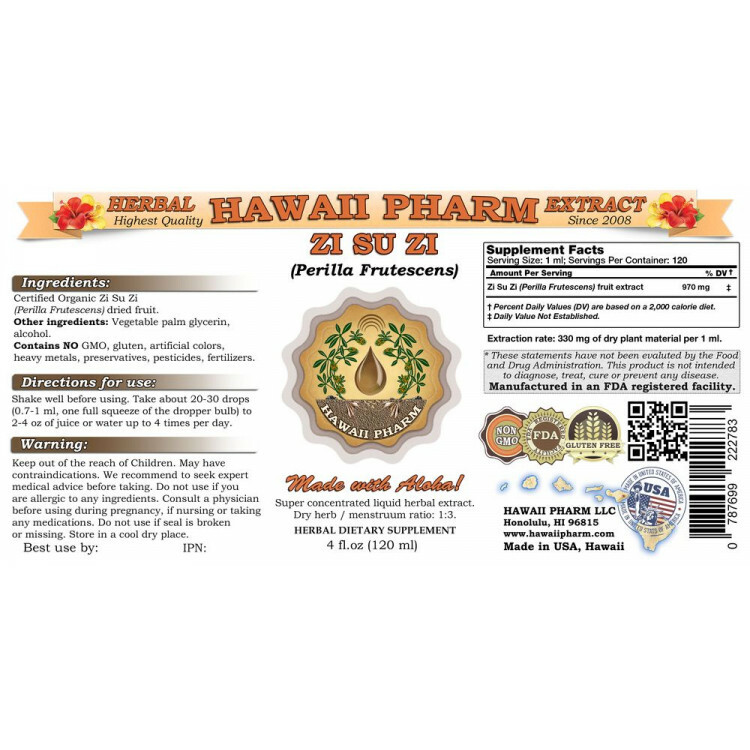 Made in an FDA Registered facility, Hawaii, USA. Item well described, well packaged, well priced and arrived very quickly. i consider this a reliable source for high quality tinctures and have ordered from them before. i have been using herbal medicine for many years. Solomon's seal is fantastic for the spine and for tension. Bought this for my husband who is diabetic but it smells so good I think I might be dipping into it too! I expected this to have an aromatically please fragrance. However, although it us not unpleasant (I would explain it as almost odorless), I will use the product as an elixor and not for its fragrance. I absolutely love Hawaii Pharm products. I have a herbal based beauty company and HP is a preferred brand for us. We have purchased this product before and will continue to purchase from seller as long as it is needed. This is a great OSHA root extract. It has alcohol, but it doesn't burn the tongue like some concoctions do. Osha Root works great for coughs without the 'cough medicine' side effects. I used to take tinctures years ago in Jefferson Colorado ; when we pastored a small country church. So it was good to find you!!!!! As advertised -- all AOK. Arrived in Great Time. Excellent Online Order Experience. Helps with joint pain and as it is an extract it is edible for the cure. Great for rashes and itching! Item arrived on time. Great seller!